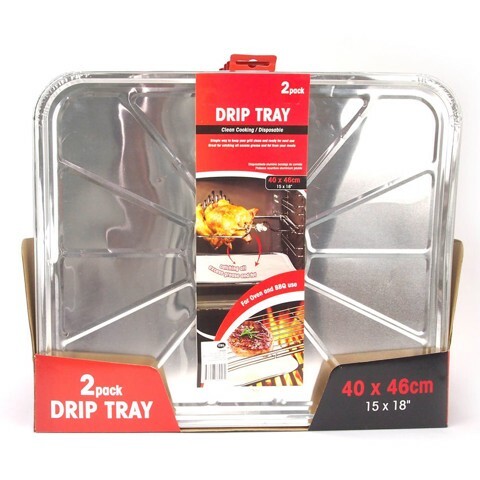 Drip Tray Set Foil 40X46Cm 2Pk. 46 x 40 x 1cm. Silver. Aluminium 0.095mm Thickness. 106G Packaging: Hang Sell and Colour Label l 48 Sets Per SRT.